Ever see a polish and you just need it immediately? That was me when I saw Contrary Polish Honeycomb at Night at PolishCon Chicago 2017. This light blue polish filled with microglitter in shades of light gold, sand and caramel also has a hint of scattered holo although it's only visible in full sunlight and not under normal desk lights or in indirect sun. This shade was part of a trio of limited edition polishes created for PolishCon Chicago 2017 inspired by places/objects in Lincoln Park. This polish was inspired by a sculpture at Lincoln Park Zoo's Nature Boardwalk. I used a base of Glisten & Glow Ridge filling base coat, 2 coats of polish and finished with Glisten & Glow top coat. This polish did have a slight sulfur smell during application but it was done when I added my top coat. Also, it was a tiny bit thick so I shook it well before applying the second coat. Finally, it did dry matte but again I always add a top coat so it's shiny for my photos. This polish has so much dimension in it. I am still not sure if I can rock this length of nail with this color because I prefer nubs with blue polish (personal preference only) but it's SO pretty. This has definitely survived the purge and has a place in my collection. 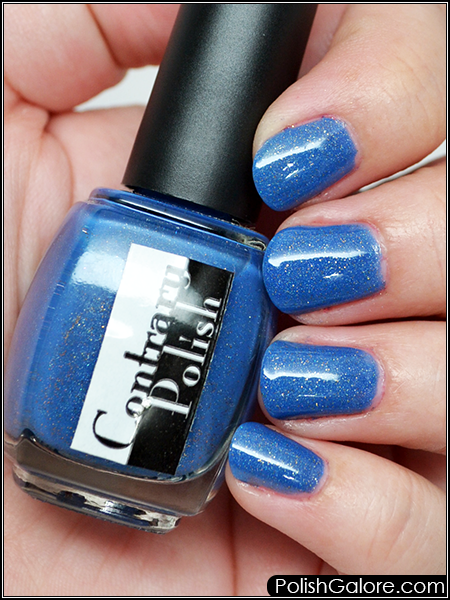 Amazingly, at press time, it's still available for purchase on the Contrary Polish website too! 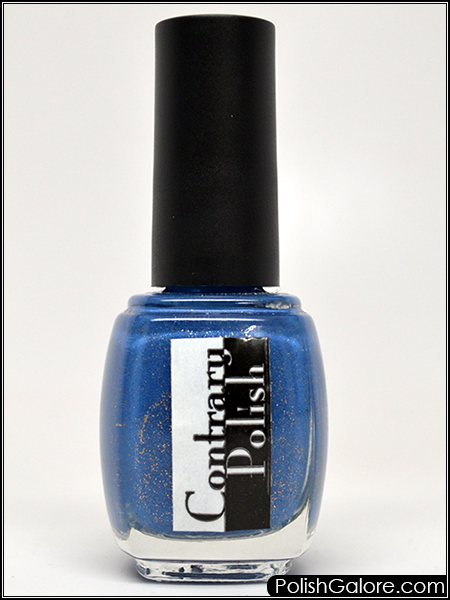 Contrary Polish is available on their website. Join the social conversation on Facebook and Instagram.